Police said the “Malaysian Boys’’ gang have been operating within Nimbo and Adani axis of Uzouwani Local Government Area of the state. The Command’s spokesman, SP Ebere Amaraizu, said in a statement on Sunday that the command had issued a warrant of arrest for all the members of “Malaysian Boys’’ gang. Amaraizu urged members of the public to urgently furnish it with information that could lead to their arrest. He also said that the command had intensified manhunt for the fleeing “Malaysian Boys” who had been a thorn on the flesh of the law abiding members of the public within Nimbo and Adani axis of Uzouwani council area. “They are advised in their own interest to report to the state Criminal Intelligence and Investigations Department (CIID) of the command in Enugu. “They are Ikechukwu alias Master; Okoro Ifeanyi alias Bukar; Mathew; Marcel Ojike; Ogbobe Ajulu; Odumodu alias Asogwa, Mike also known as Anyi Anyi and Hyacinth Ugwu Julius. “Others are John Okwelli; Anselem also known as Photo; Ikechukwu Aaron; Nnamdi Michael; Gabriel also known as Gabos as well as others known as Fela, Zero, Akwasa, Mmiri and Ratty. “The command gathered that these group of fleeing suspected hoodlums and mischief-makers masquerading under the aegis of Malaysian Boys operating in their habitat at the dreaded Malaysian Forest, come out to unleash mayhem on residents of Nimbo community and its environs,’’ he said. Amaraizu said that the police was already working with relevant stakeholders to fish them out anywhere they might be within and outside the country. The police on March 25, acting on intelligence report, raided the said dreaded forest (Malaysian Forest) and arrested some of the suspected hoodlums. Police also recovered dangerous exhibits. 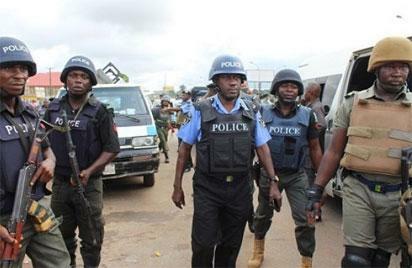 The post Police declare members of “Malaysian Boys’’ gang wanted in Enugu appeared first on Vanguard News.